Steve Thomas asked an interesting question recently, which prompted me to set down some things I had been thinking about. I have added a few comments here for those with a less mathematical background or a different location in the world, plus links. The most essential point about teaching young children is to begin with what they already know about, and at least partially understand. 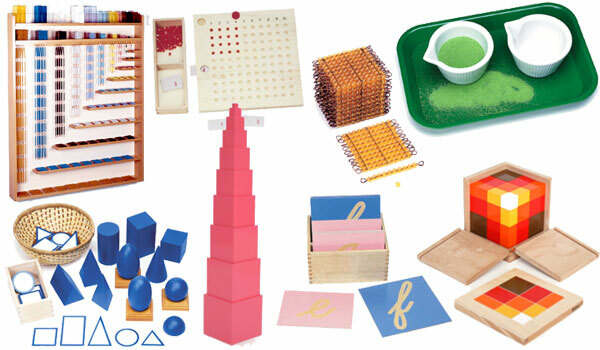 Arithmetic must begin, then, with counting or measuring material things. 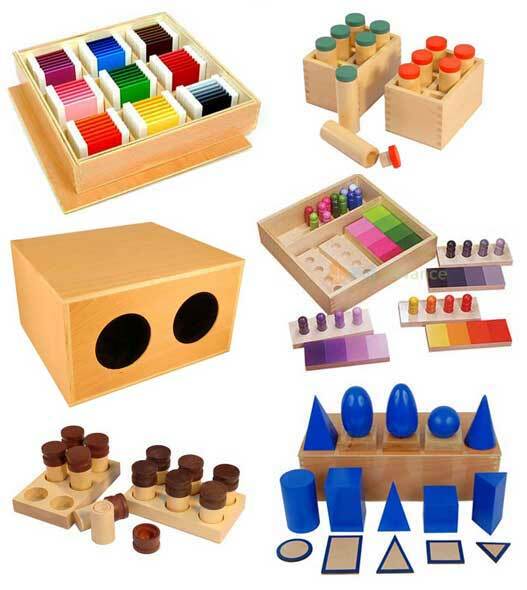 The Montessori materials include a variety of such objects for shapes and counting. The Cuisenaire rods provide ten lengths in ten colors. (I like to supplement them with the notion of a colorless rod of length zero. Why is it colorless? For the same reason that you cannot divide by zero. Zero can be zero of anything. So it cannot be limited to one particular color.) Today we will talk about cutting circles or circular objects into slices of the same size and different colors. > experiences with the concept of fraction. You do not have to give them such experiences. You need to draw attention to the experiences they have had all their lives. 1/2 goes into 1 twice. In fact it goes into any whole number N by dividing N objects into 2 pieces each, giving 2N pieces. Similarly, it goes into 1/3 twice 1/3, or 2/3. If you divide a circle into sixths, you can easily see that a third of the circle (two pieces) is two-thirds of half the circle (three pieces), in just the same way that, for example, two beads is 1/4 of eight beads. It has been done in detail, and is available on various OER sites, some of which are [listed in the Sugar Labs Wiki]. I have written about this on other mailing lists. I will do a Turtle Art version of this some time soon, after I do a bit more on the concept I have been working on most recently, Figurate Numbers. [and, as it turns out, Counting, and Visual Numerals, and the J programming language…] I have several such lessons [in the Sugar Labs wiki]. Tony Forster did a TA visualization for fractions that I plan to carry further. Others are welcome to join with Tony and me. So here is the outline. You will have to take this more slowly with children, of course. Cut a pie in pieces, and color some of the pieces, as Tony did. That gives the basic idea of a fraction. Point out that when you cut a pie in, say, 8 pieces, you are doing 1 divided by 1/8. Cut more than one pie in the same number of pieces each. This lets us talk about “improper” fractions and mixed fractions (integer plus fraction), and converting between them. We can also introduce rational numbers at some stage of child development. Cut several pies. For example, cut two pies into three pieces each, and then color pairs of pieces. How many groups of two pieces make two pies? Congratulations, you have just divided 2 by 2/3. Work other examples, dividing whole numbers by fractions, then fractions by other fractions, choosing cases that come out even to start with. Now look at examples where one fraction does not go evenly into the other. What do you have to do to make sense of the remainder? Say you have a pizza cut into 8 pieces, and you have hungry pizza eaters who want three slices each. How many can you accommodate? Well, two, with two slices left over. Two slices is 2/3 of three slices, so [1 divided by 3/8] comes to [8/3, or] 2 2/3 portions. None of this requires Turtle Art. You can cut pies or cakes, or pieces of construction paper to do all of this. Oh, yes. How many pieces do the local pizza parlors cut pizzas into? What fractions can you make from those pieces? Can you find pictures of pizzas from directly above, so that they appear as circles? (Yes.) What else? Craters on the moon? The whole moon? Circular swimming pools, fountains, ponds? It remains an open question whether the children can discover the invert-and-multiply rule for dividing fractions by themselves, whether they will need broad hints, or whether they will have to be told. It would be interesting to me to hear how they would explain these ideas to each other. I will be interested to hear your results. This entry was posted in Uncategorized and tagged Cuisenaire, fractions, Montessori, OER, pie slices, Tony Forster, Turtle Art. Bookmark the permalink. No! You are doing 1 divided by 8. Actually, both. You divide the pie into 8 pieces, each a 1/8 slice, and you divide the pie by the slice to get 8. How many slices, we ask, go into the pie? or How many slices did we divide the pie into. Just as 8/4=2 (4 gozinta 8 two times, and 8/2=4, so 1/8=1/8, and 1/(1/8)=8 (The slice gozinta the pie eight times). No fact in math is a single, isolated fact viewable from only one angle.